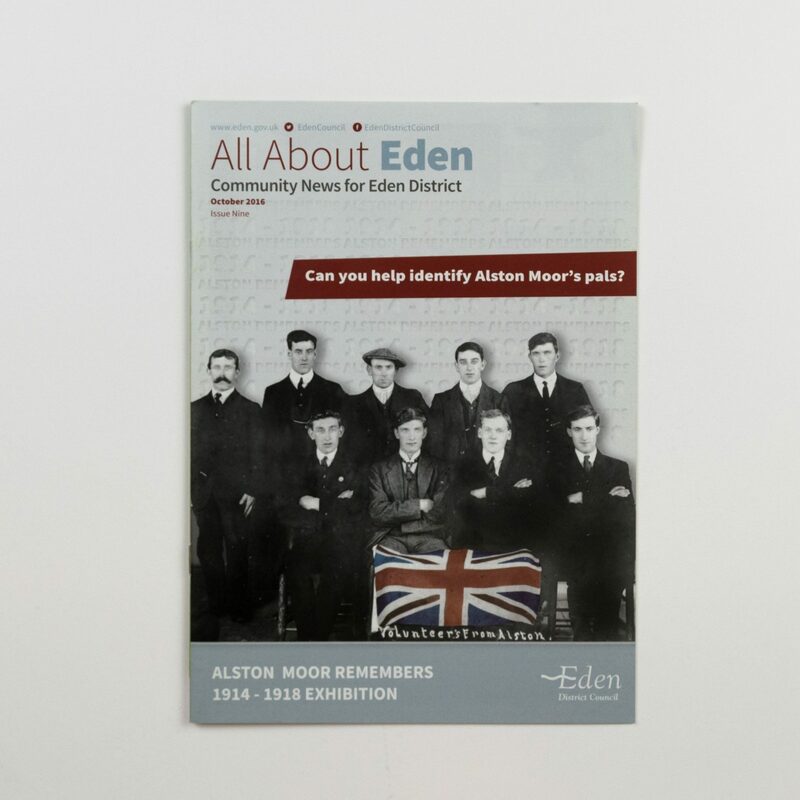 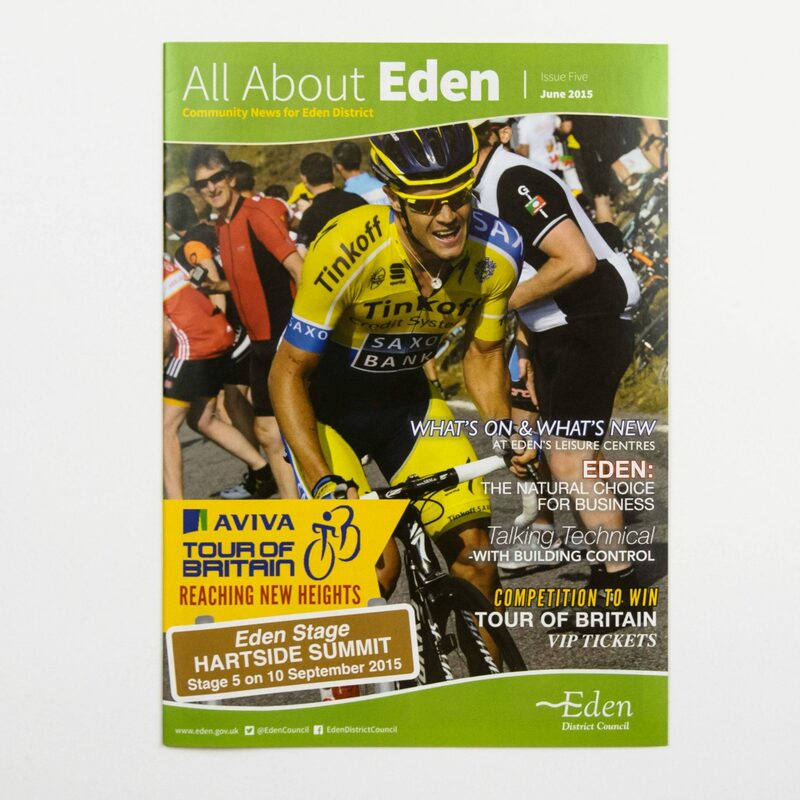 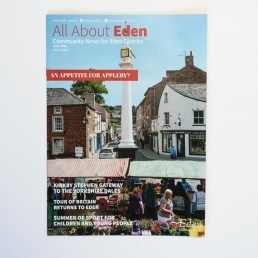 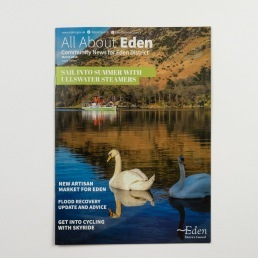 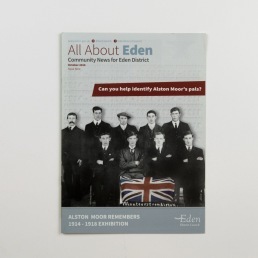 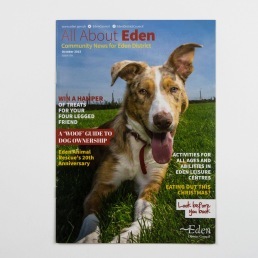 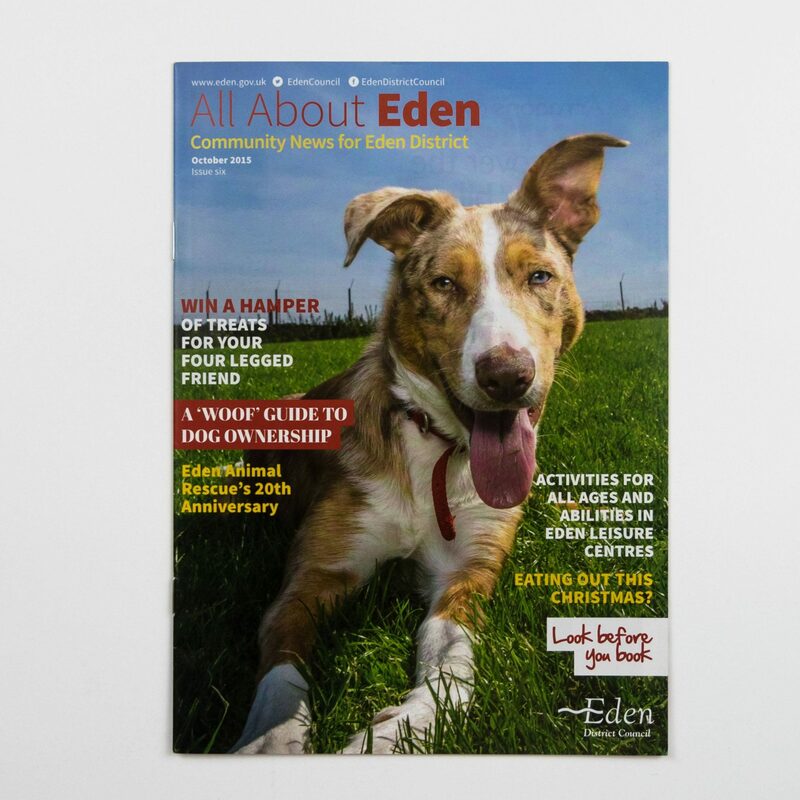 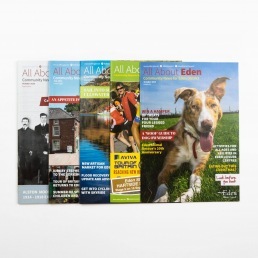 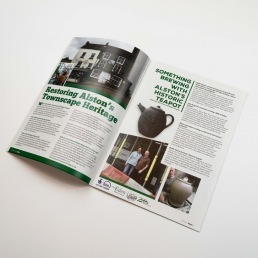 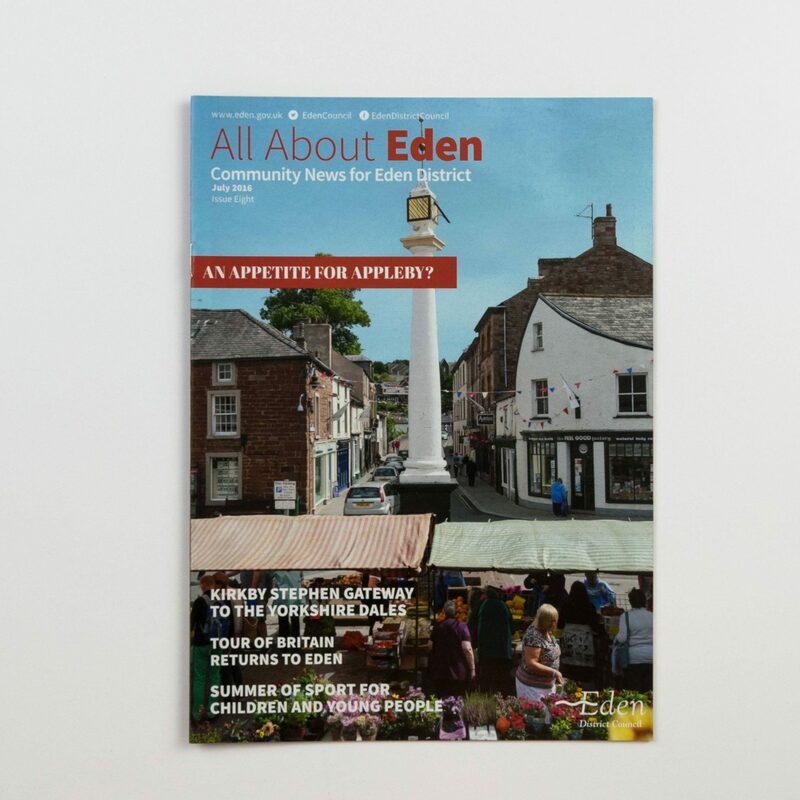 The All About Eden magazine is a community magazine contracted by Eden District Council for the local residence of the Eden Valley. 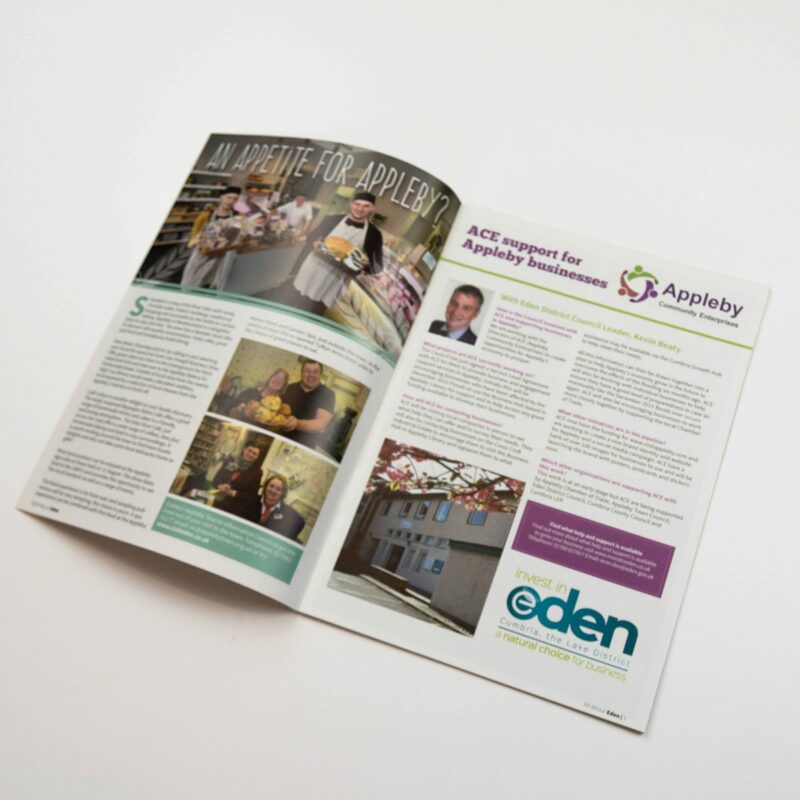 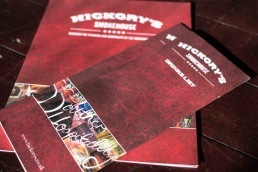 The magazine is designed, printed and distributed quarterly and contains useful information about events, news and articles on the local area. 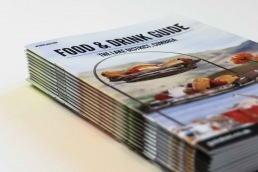 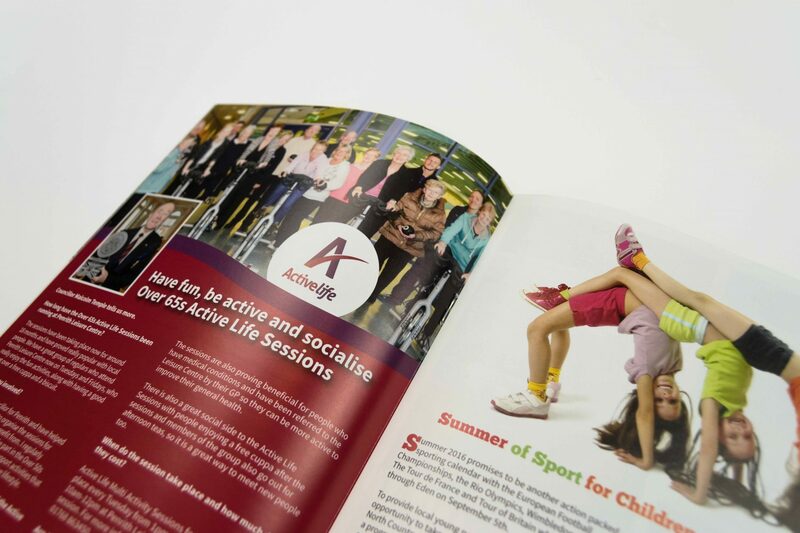 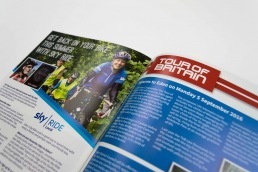 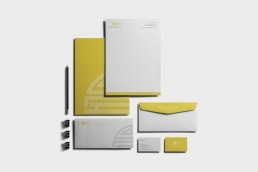 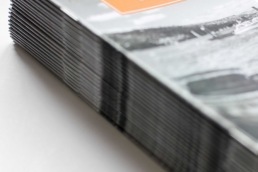 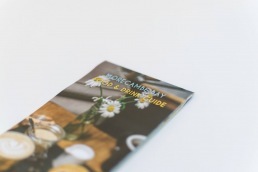 We started working with the council on the magazine in 2014 and have developed the idea, designs and distribution since then, now its distributed by the Royal Mail to over 27,000 households in the area for a wide coverage. 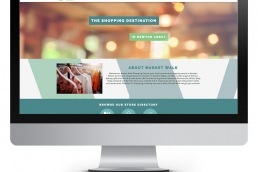 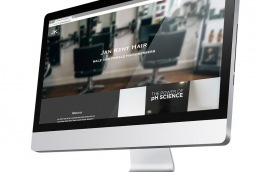 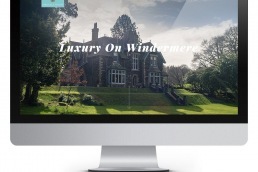 As well as designing, printing and distributing the magazine we also sell the advertisement inside to local businesses from the Eden Valley, it’s a great platform for businesses to advertise due to the wide coverage and quality finish.